The South African game lodge industry is one of the country’s biggest tourism drawcards, often offering a unique wildlife experience. However, the challenge for any commercial game lodge is to differentiate itself from its competitors. The Collection has achieved this by placing a greater emphasis – and premium – on its people. In its early years staff turnover at the lodges was relatively high in line with industry trends. This tended to negatively impact guest satisfaction levels. After a thorough review of the company’s human resources practices eight years ago, its performance and reward programme was overhauled with the result that the Collection began to attract slightly older and more experienced lodge managers. In tandem with this new programme, certain policies had to be amended too such as allowing lodge managers to have children and even pets on site, something that previously had not been encouraged. This new approach has reaped significant rewards: staff turnover at lodge management level has been significantly reduced and more entrenched and committed lodge management have been empowered to put their personal stamp on the lodge they manage. The impact on guest satisfaction levels has been nothing short of phenomenal. Feedback in the form of guest reviews on the world’s most visited travel website, TripAdvisor, are proof that the vast majority of guests come away from the Thornybush Collection’s lodges having had an exceptionally good experience. Guest travel reviews make frequent mention of the outstanding game experience with knowledgeable, experienced and friendly rangers, and the warmly welcoming, efficient, accommodating and personable lodge staff who make every effort to anticipate each guest’s needs. So positive are guest reviews on TripAdvisor that the Thornybush Collection receives a Certificate of Excellence from the website each year, something that has become a matter of pride. It is these unsolicited guest reviews coupled with word of mouth marketing that has done much to grow the Collection’s reputation and demand in the past few years as well as ensuring that travel and tour operators, the Collection’s primary source of bookings, are assured that their customers will have a good experience. The end result has been occupancy levels of just over 70 percent in 2017. Game lodges and private game reserves are a capital intensive business which means rates within the luxury lodge industry are typically higher than an average city luxury hotel stay. This means travel operators tend to rely only on those lodges with good reputations and with whom they have a proven track record. The Thornybush Collection places significant value on the relationships it has formed over the years with travel and tour operators, to the extent that if a lodge manager anticipates a problem with a guest, this is quickly communicated to head office who then relay the feedback to the travel operator concerned, while at the same time doing everything possible to resolve the issue. Called the ‘Tight Rule’, it’s a policy which has worked extremely well on the very rare occasions it is required. The political environment and economic uncertainty has done little to dampen demand from international tourists for luxury game lodge experiences in South Africa. For more than 82 percent of guests to Thornybush this is their first experience of the African bushveld and for most visitors, is a profound experience. To the first time visitor the very notion of a bush experience has subconscious connotations of a very simple accommodation experience. It’s therefore not hard to exceed expectations, something the Thornybush Collection excels at with five star amenities, elegant luxury accommodation, good food and warm, welcoming and attentive staff, all coupled with a unique wildlife experience. Earlier in 2017, Thornybush Private Nature Reserve removed its eastern boundary fence with the Timbavati, which means the reserve is now open to the Greater Kruger Park, offering guests an even richer game experience. Rhino poaching continues to be a threat faced by all game reserves, including Thornybush. In recent years security has become a significantly bigger cost. Staff working in the reserve are required to take lie detector tests – and those who fail twice are barred entry from the reserve – and guests are requested not to use their mobile phones while on game drives so that their location details are not transmitted. In keeping with the philosophy that sustainable brands are those that do good,the Thornybush Collection is involved in a number of community initiatives including two community food gardens which supply fresh vegetables and herbs to the lodges as well as local clinics and schools. Occupancy levels at Thornybush Collection’s lodges have been positively impacted recently by greater accessibility in the form of increased flights from South Africa’s major cities to Hoedspruit, the closest airport, including for the first time a daily Cemair flight from both Johannesburg and Cape Town starting in August 2017. Previously a closed reserve, last year the 27km fence separating Thornybush from neighbouringTimbavati Game Reserve was removed, allowing animals to freely migrate from the Kruger National Park, through Timbavati and into Thornybush. The removal of the fence opened this previously restricted reserve to the Greater Kruger National Park and has made for a much more exciting and far less predictable game experience. It was not long after the fence had been removed that a number of Kruger’s large tuskers wondered into Thornybush along with increased lion activity. One of the last remaining fences to come down around Thornybushwill be the western fence with Kapama Private Game Reserve, once an existing road has been suitably diverted. Open access between Kruger and private game reserves in the region has been championed by the Peace Parks Foundation which has a vision to create large conservation areas extending beyond the borders of neighbouring countries to allow animals to once again adopt their traditional migratory routes. Allowing animals greater freedom of movement has significant advantages for the local private lodge industry, including the Thornybush Collection which currently offers a total of 178 beds. Later this year the Collection plans to mothball an existing tented camp and replace it with the 20-bed, 6 star Saseka (the name means ‘beautiful’ in Shangaan) tented camp, situated on the banks of the Monwana River which flows through the Thornybush Reserve. Currently under construction, no detail has been overlooked at Saseka with guests’ comfort factored into every element of the design of the camp. Each double unit consists of a canvas, wood and brick structure with its own viewing deck and swimming pool. A key consideration during the construction phase has been to ensure that no trees are removed which will ensure excellent opportunities for bird watching from each unit’s private deck. Similarly each unit will have uninterrupted views of the meandering Mowana River which attracts animals in search of water throughout the year. Saseka has been designed in such a way that it allows for a camp within a camp with two tents slightly differently configured so that they can be independent of the main camp for guests looking for greater privacy and independence of the main camp. A R40 million investment by Thornybush Collection, this new camp is in response to the growing demand for luxury tented camps in game rich areas offering guests unparalleled game sightings and an authentic bush experience. As such the staff to guest ratio will be high with around three staff to every guest. 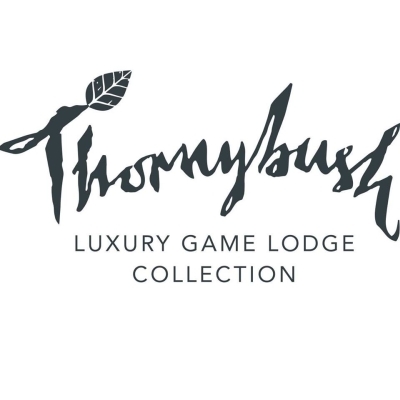 Thornybush Collection has traditionally marketed itself as a mid-value four and five star lodge offering. There is little doubt that in the mid-value bracket it excels in terms of value for money proposition and guest satisfaction. Its consistent focus on exceeding the expectation of guests has required finding the right people to run its lodges: individuals with a passion for the bush coupled with an ability to put guests at ease while at the same time proactively anticipating their every need. Feedback on traveller websites such as Trip Advisor has long been a source of great pride amongst the Collection which has been awarded a Trip Advisor Certificate of Excellence for consistently outstanding customer reviews, largely as a result of its long term focus on ensuring friendly and efficient lodge staff who go out of their way to ensure the comfort of each guest and trackers and game rangers knowledgeable and passionate about the bush. The challenge for the Collection with the introduction of this new six star offering will be to differentiate its four star offerings from its five and six star offerings. The likely solution will be to market the Collections premium offerings, including Saskeka, Thornybush The River Lodge and Simbambili in one high-end premium category adjacent to the Collection’s classic category of lodges with different sales people allocated to each category. One thing that won’t be changing is the Collections consistent focus on exceeding the expectations of its guests. More than 75 percent of guests to its lodges are first time visitors to the bush, a hugely advantageous factor given that close encounters with the Big Five and other game tend to have a humbling effect on most visitors who leave with a greater awareness and appreciation of nature. Couple this intimate safari experience with luxuriously appointed accommodation, high quality cuisine, attentive staff and little touches like hot water bottles on early morning game drives combines to create a truly memorable guest experience.